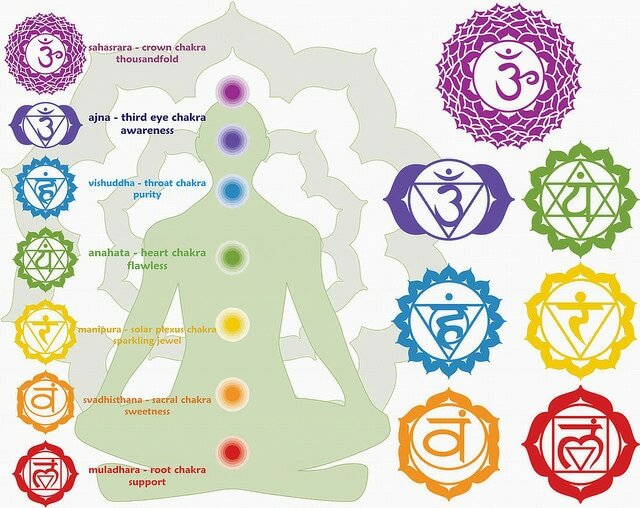 Chakras are the major centres of spiritual power in the human body and are believed to balance, store and distribute the energies of life through our physical body. 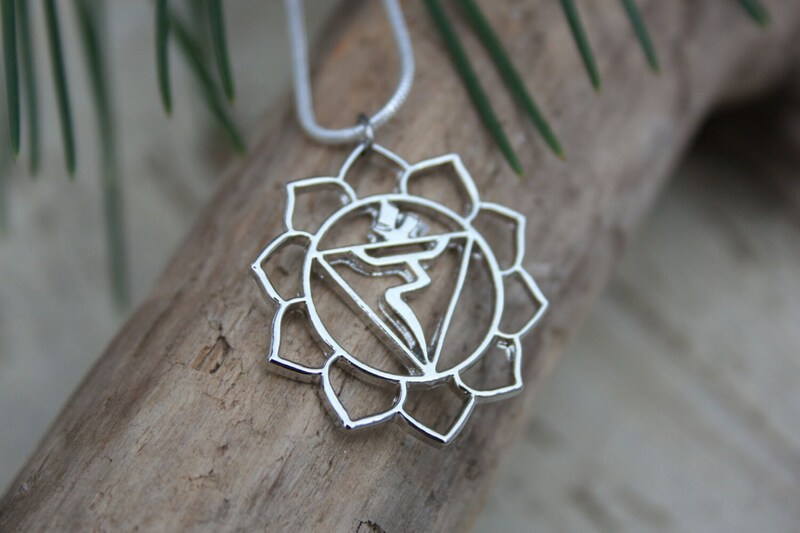 Wearing or working with the chakra symbols is believed to open these chakras to let restorative energy flow through and restore balance whilst activating the relating chakra. 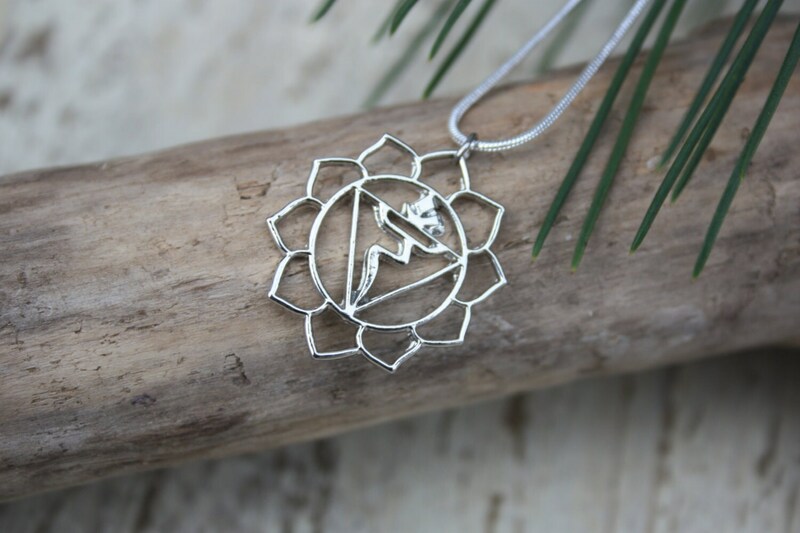 Each Chakra necklace comes in a handmade bag with a printed description of the chakra meaning. The 3rd Chakra is known as the 'Solar plexus' Chakra. It is located at the base of the rib cage and represents the foundations of our body. The solar plexus chakra enables us to pick up vibrations and energies from others and the world around us. When it is unbalanced it can create a block in energy flow leading to illness and feelings of lethargy and fatigue. When the solar plexus is balanced it gives us more energy which allows us to chase our dreams fully and accomplish our goals. 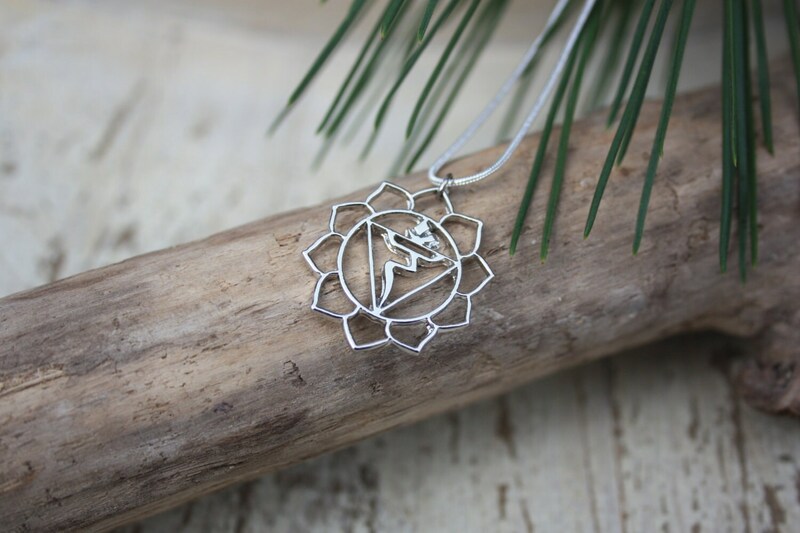 *We make all of the 7 chakra symbol necklaces - Please see other listings, or message us directly if you can't see the one you're looking for. 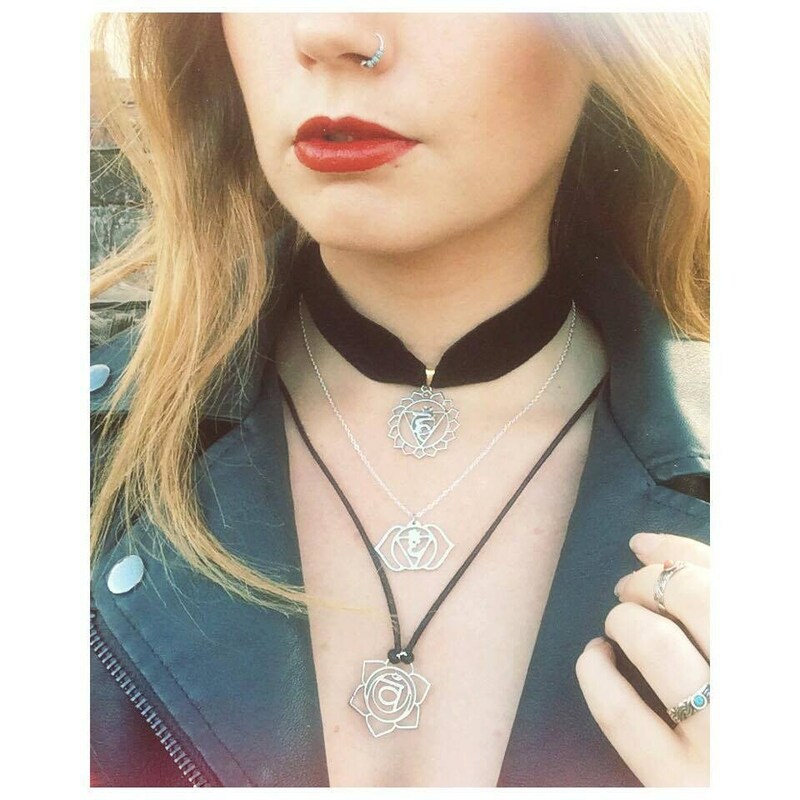 **These pendants can also be put on a velvet choker, different chain or healing crystal bracelet, so please get in touch if you'd like us to do this for you. Materials: Silver Chain, Zinc Alloy Pendant.